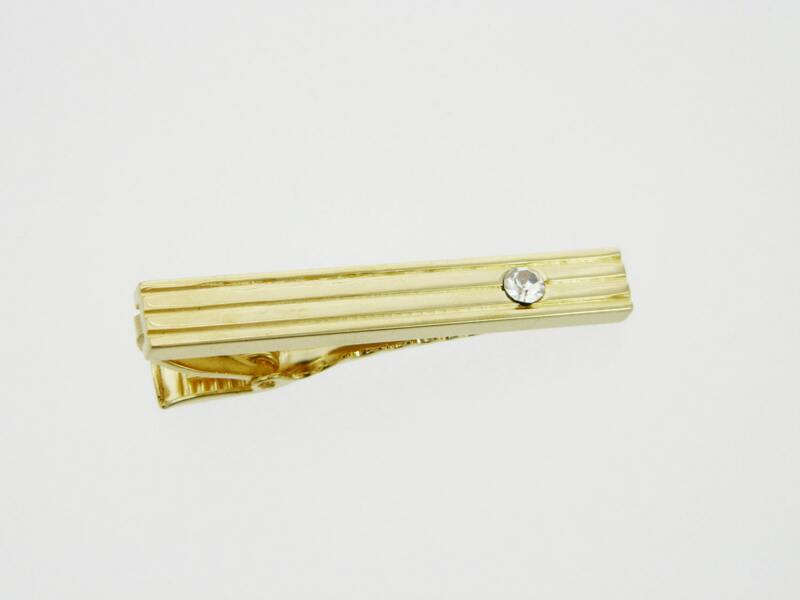 Gold Tone Tie Clip with Crystal. 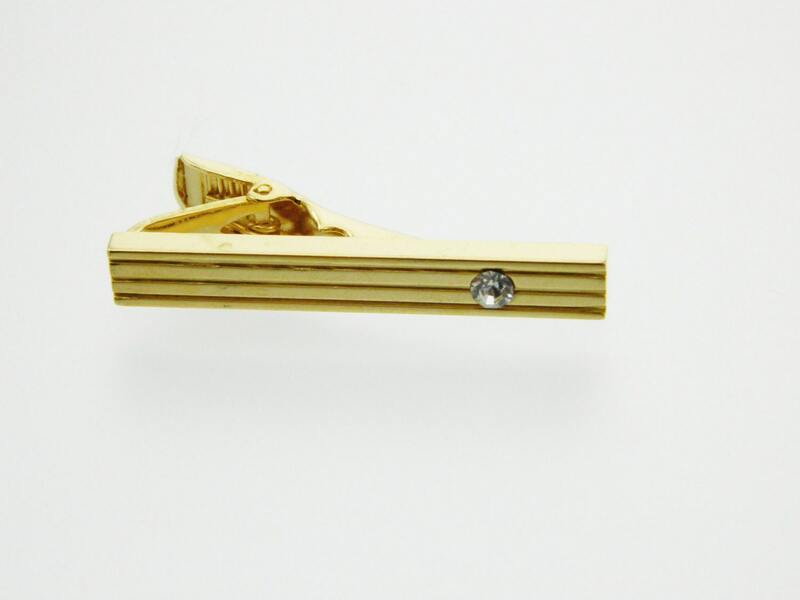 Vintage Warehouse stock, never worn. 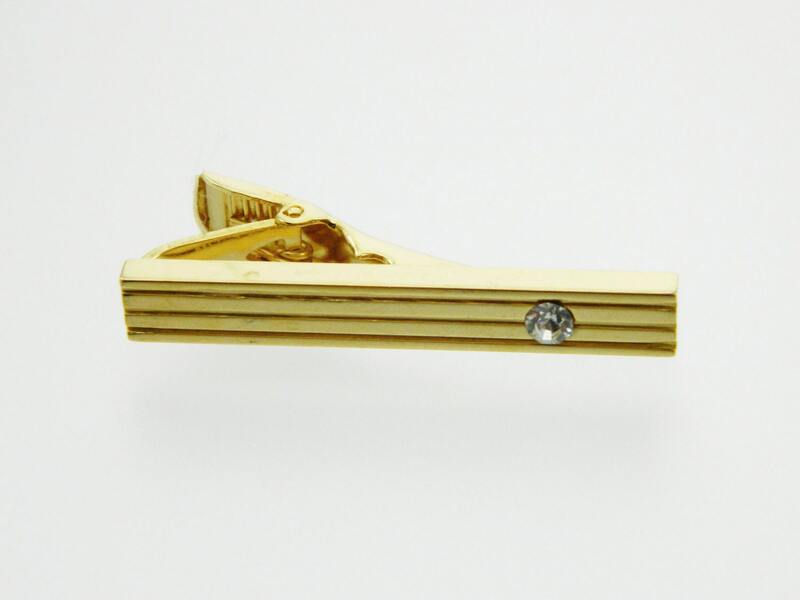 Material: Gold Plated Brass and Acrylic.